If you're ready to take your iPad gaming to the next level, you may wish to consider connecting a physical controller with your tablet. Providing a more tactical and immersive experience, using a controller with your iPad games can give you the edge in that next race in Asphalt 9 or added physical responsiveness in platformer games such as Metal Slug and Rayman. Manufacturers, such as SteelSeries, have begun producing controllers specifically designed for mobile devices such as Apple's iPad — these products are known as 'Made For iPhone' or MFI devices. If you've picked up a wireless controller from such a company, it will need to be connected via Bluetooth. While each device connects in a slightly different manner, and we recommend referencing the manual included with your device, you can follow these general steps for a helping hand with the process. Begin by turning on your Bluetooth controller and placing it in pairing mode; this can generally be accomplished by holding down the Bluetooth button/switch on the device. Most devices acknowledge they have been successfully placed in pairing mode with blue and red flashing lights. On your iPad, open the Settings app and select the Bluetooth option. First, ensure that Bluetooth is toggled on — denoted by a green slider switch — then tap the device's name under Other Devices to connect. Your controller should now be connected with your iPad and you can begin gaming. Gamers looking to connect a familiar controller to their iPad are in luck if they are accustomed to using an Xbox One Controller. The process for connecting an Xbox One controller to your iPad is similar to any other Bluetooth device and is outlined in detail below. This process only works with the Xbox One controller. The older Xbox 360 controller does not support this method. Begin by turning on your Xbox One controller and placing it in pairing mode; this can be accomplished by clicking the Xbox button — the center round logo button. If an Xbox One console is already paired with your controller it will take over when attempting to pair your controller to an iPad. Make sure to completely shut off your Xbox One console — not just standby mode — when following this tutorial. First, ensure that Bluetooth is toggled on — denoted by a green slider switch — then tap the Xbox One controller under Other Devices to connect. Despite both the PlayStation and Xbox One controllers both utilizing Bluetooth to connect to devices, the iPad doesn't recognize PlayStation controllers without a bit of hacking. Hacking that can compromise the security of your iPad. To use a PS3 or PS4 controller with your iPad, you will first need to jailbreak the device. Once jailbroken, follow these steps to install Controllers for All from the Cydia store. Jailbreaking is a grey area for device safety. Apple does not officially support any jailbroken versions of their software. Additionally, jailbreaking can introduce your device to potential security risks along the way. On your jailbroken device, open the Cydia app. Search for the Controllers for All app and install it. Connect both your PlayStation controller and iPad to a Mac or PC. On your Mac or PC, download the Pair Sixaxis Controller app and open it. Select the Pair Controller to iPad button. Disconnect your iPad and PlayStation controller from your Mac or PC. When launching a game on your iPad, it will announce it is ready for a PlayStation controller. Click the PlayStation button on your controller to connect. One company has made quite a splash in the iPad controller market and they are known as GameVice. Offering a number of different controllers that attached to both iPhone and iPad devices, they make it easy to slap on dual analog joysticks, a D-Pad, bumpers, triggers, and buttons in only a few seconds. GameVice has yet to release a version of their controller compatible with the latest edge-to-edge screen iPads as they utilize a USB-C port rather than a lighting port. First, ensure that you have purchased the right version of GameVice controller for your iPad — different versions are designed for various models. Connect the right-hand part of the controller to your lighting port via its built-in connector. Now, stretch the left-hand part of the controller over to the opposite end of the iPad and secure it. You might face a few issues while attempting to connect your controller to an iPad. Check out these tips and tricks to overcome possible troubleshooting hurdles. Attempt to place your controller in pairing mode again, the process may have failed during the first effort — check the controller manual for full instructions. Ensure that your wireless controller is fully charged and does not have a low battery as this can prevent connecting. Double check to make sure that your iPad's Bluetooth functionality is turned on and your device is not in Airplane mode. Update to the latest version of iOS so your device is compatible with the latest accessories. 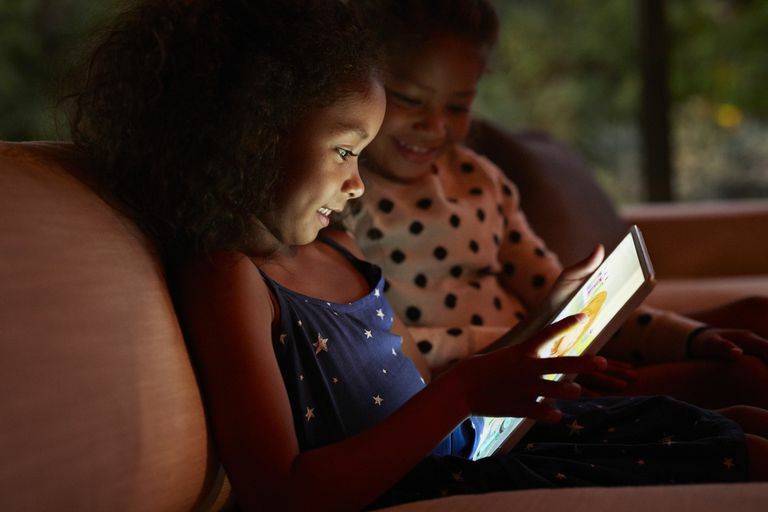 If the product is an MFI-certified product, contact the manufacturer for assistance with connecting it to your iPad. Non-MFI certified controllers such as the Xbox One controller or any PlayStation controller are not supported by Apple. If worse comes to worst, you can always visit a local Apple Store where they can assist you in connecting with MFI certified controllers.